Real audio video camera shows, watch HD 720 P camera is water resistant to 15 meters and an internal memory of 8 GB, the sensor is 1 million pixels and non-interpolated video resolution is 1280 x 720 pixels at 30 frames per second. 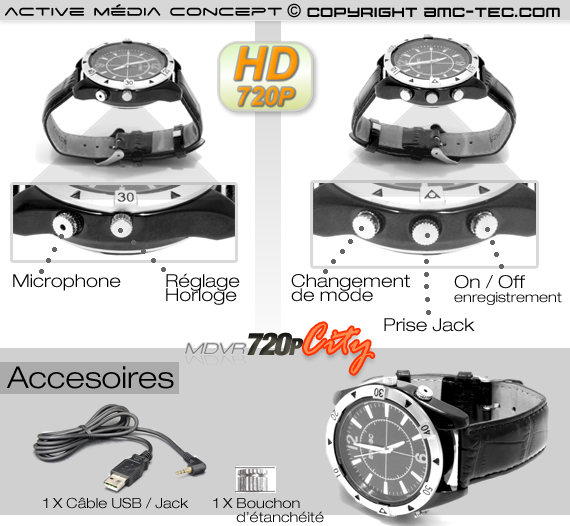 Watch our city type a leather strap to the opportunity to take photos in HD resolution with a quite exceptional in 1600 X 1200 Pixels. 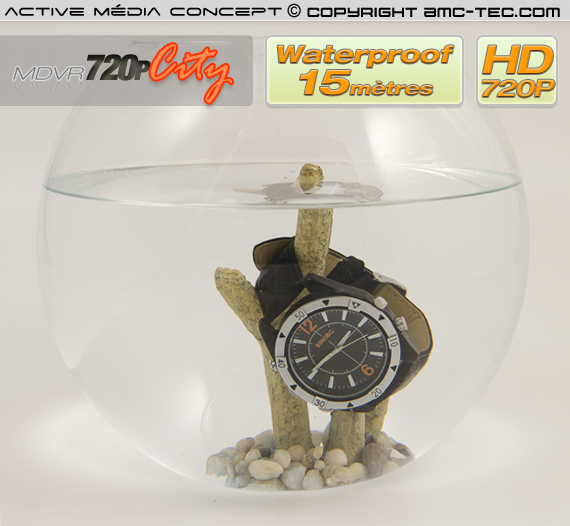 This watch HD 720P camera has a waterproof micro camera and a microphone. A push of the button starts recording video or snapping a photo in the manner you have selected. The watch connects to a USB port allowing you to recharge the battery or to access your videos, pictures or sound recordings. It is compatible with all computers (Windows, Linux and Mac). 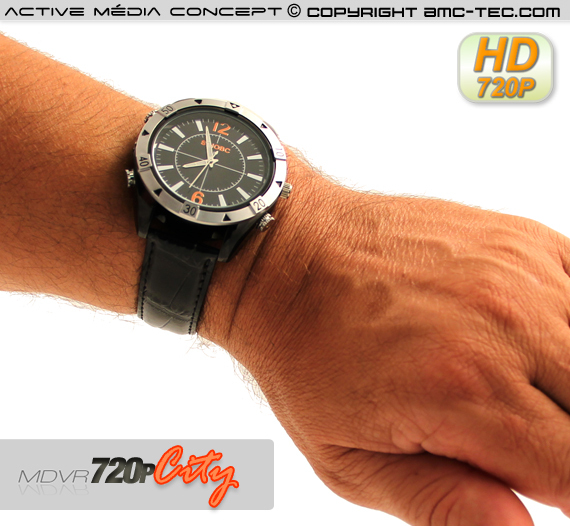 Finally, the sport watch HD 720P also serves as a watch. Our watches are supplied mini camera built into a box with a USB cable and charger. The autonomy of sport is to watch camera 90 Minutes continuous recording. 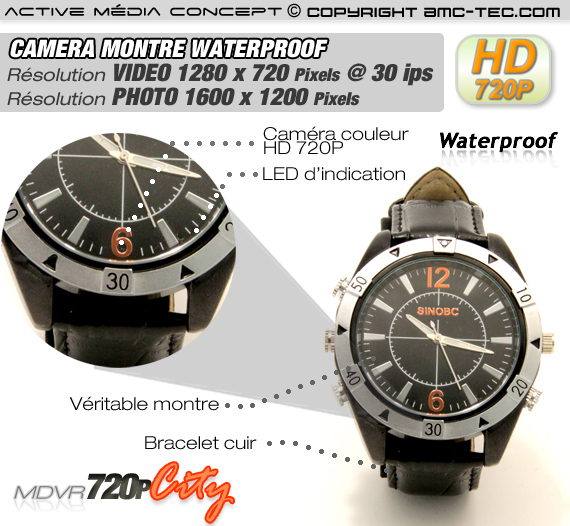 Usable in many circumstances, our waterproof watch is the latest technology in camera sport. This watch HD camera takes video and audio recordings and eliminates the need to transport bulky equipment.